Good evening, dear readers! I hope this post finds you well and you have been enjoying the holiday season thus far. I've been quiet on the blog front for the past several days, although I've been insanely busy with holiday obligations. I don't know about you, but this lacquerista is going to need a break from all the holiday hoopla! Even though it keeps me busier than usual, I still love the holidays, and I'm looking forward to a quiet Christmas with my family. 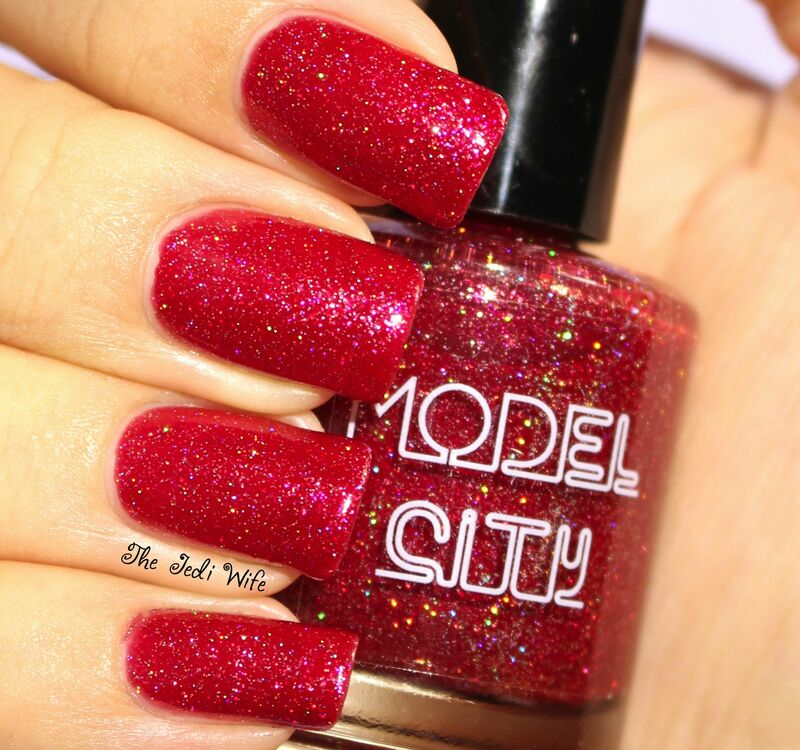 For tonight's blog post, I wanted to share the new Model City Polish Holiday collection with you. Nina, the creative mastermind behind the brand, has released a wonderful five piece collection with a range of finishes that are sure to appeal to anyone! Let's check them out! 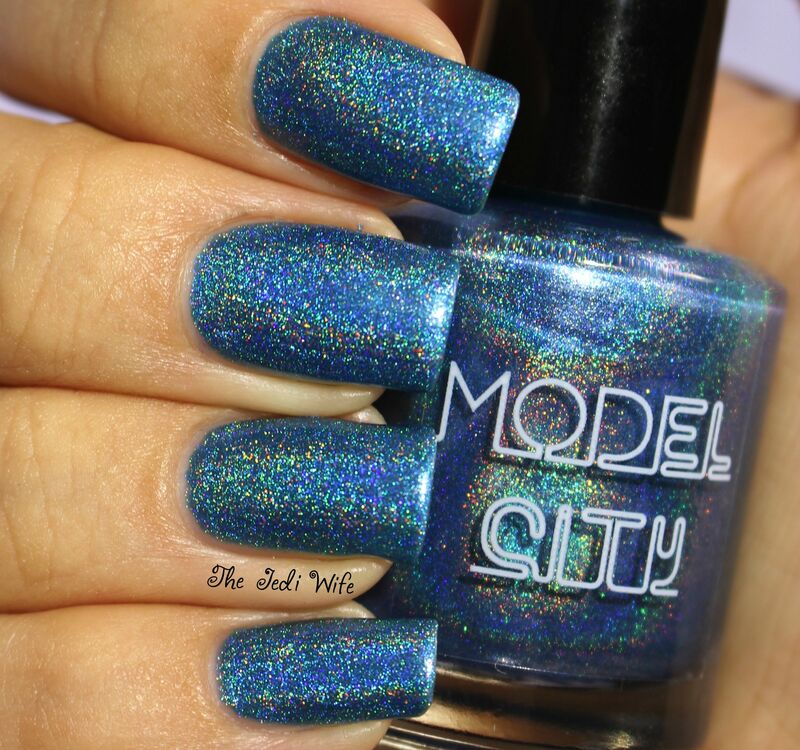 Arctic Sea is a lovely medium blue shimmer with a holographic finish and is sure to create that perfect chill. There is something about blues that are just so perfect for the holiday season, and yet they still work after Christmas is over. As much as I'm personally not a fan of cold weather and snow, I love to look at photos of snowfall! Arctic Sea is beautiful, and the formula was so easy to work with. I used two coats for these photos. 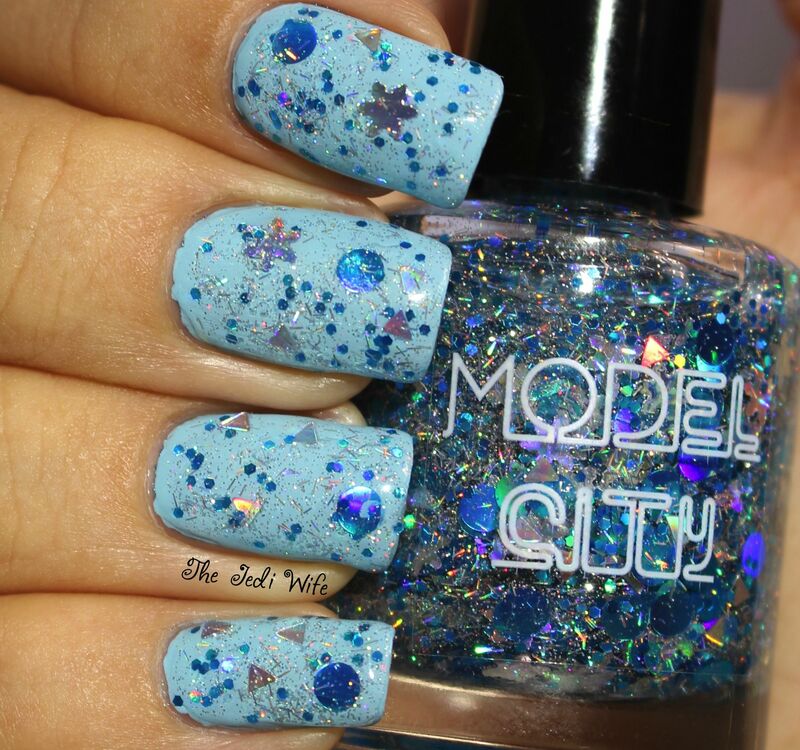 Winter Wonderland is a clear base blend with silver holographic triangles, micro glitter, micro slices, and snow flakes, and blue holographic dots and hexes. 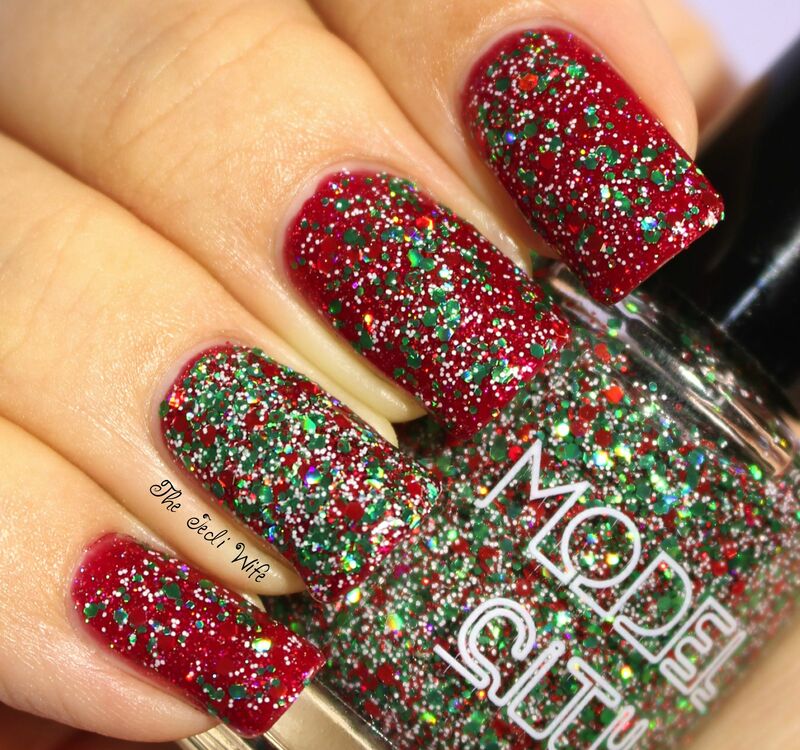 This is hands down my favorite glitter topper from this holiday season! 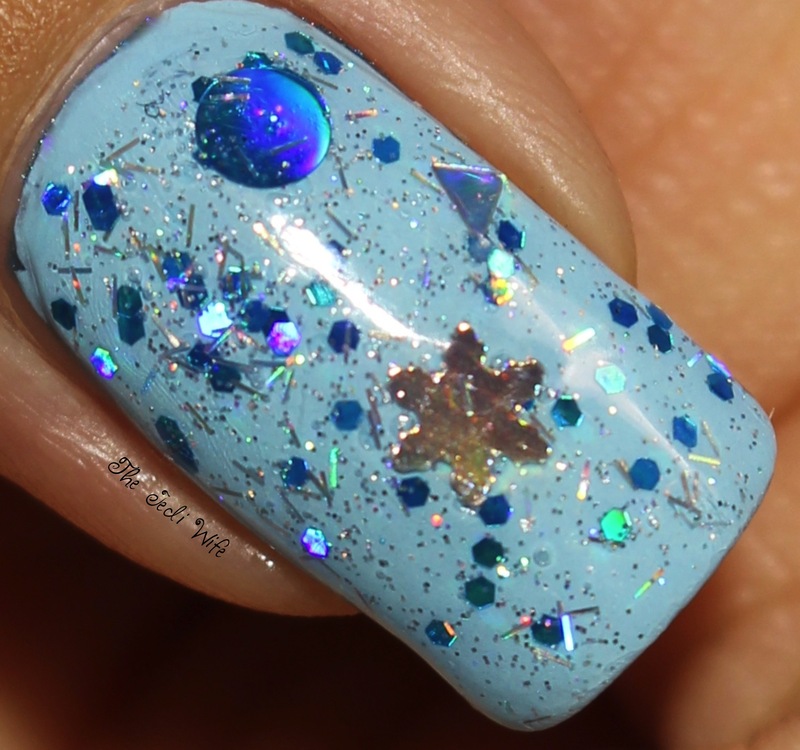 I'm generally not a fan of odd-shaped glitters, but I love the occasional snowflake that comes out on the brush, and the large blue dots and silver holographic triangles make it the perfect combination. 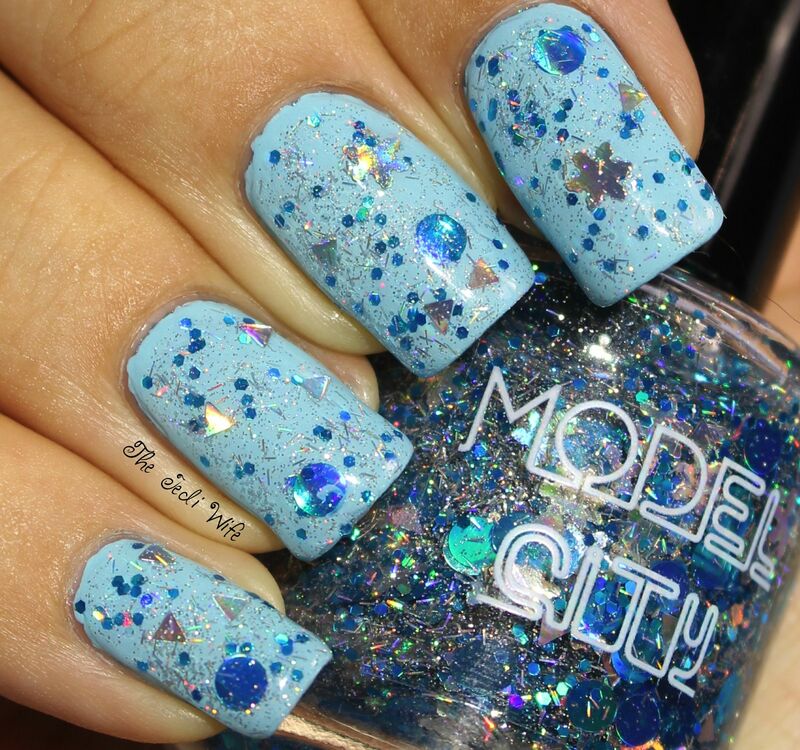 Application was fairly easy- a little dab here and there and the glitters spread out nicely over the nails. I used about a coat using this dabbing technique, and I didn't have to dig around for any glitters. I'd get a few larger glitter pieces per dip of the brush, so if you want more, you might have to fish around a little. I added a coat of gelous and a coat of topcoat to smooth out my nails for these photos. 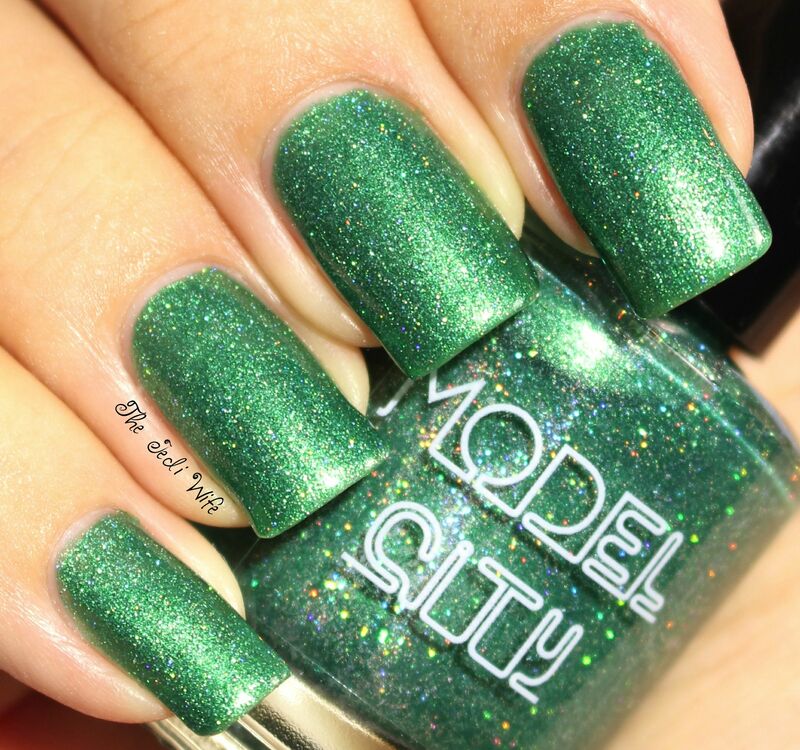 Evergreen is a rich green shimmer with micro holographic glitter swimming about. The end look is a lovely evergreen with twinkling lights. What a lovely shade of green for Christmas! 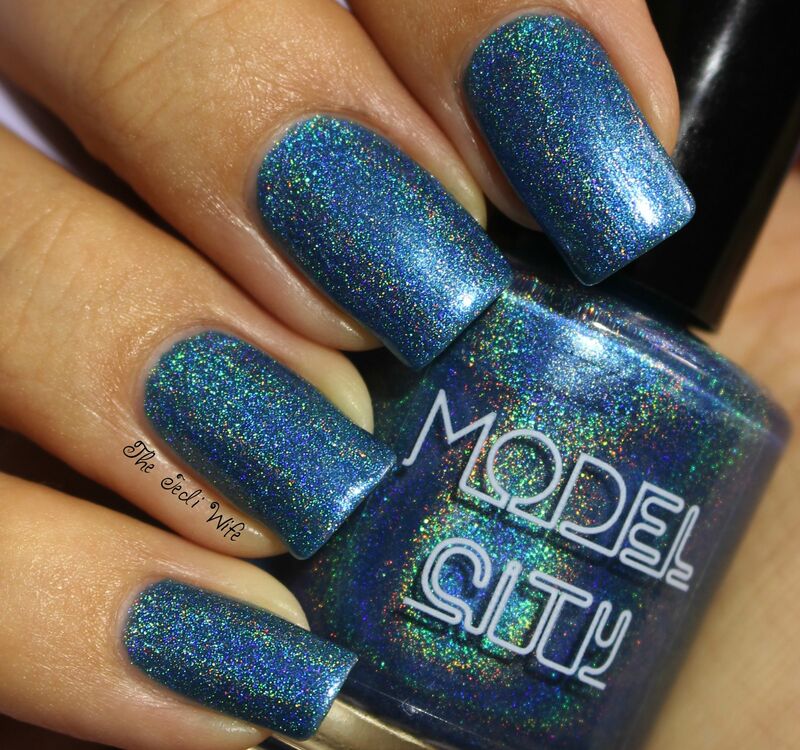 I think my favorite aspect of this polish is the occasional flashes of blue sparkle on my nails. 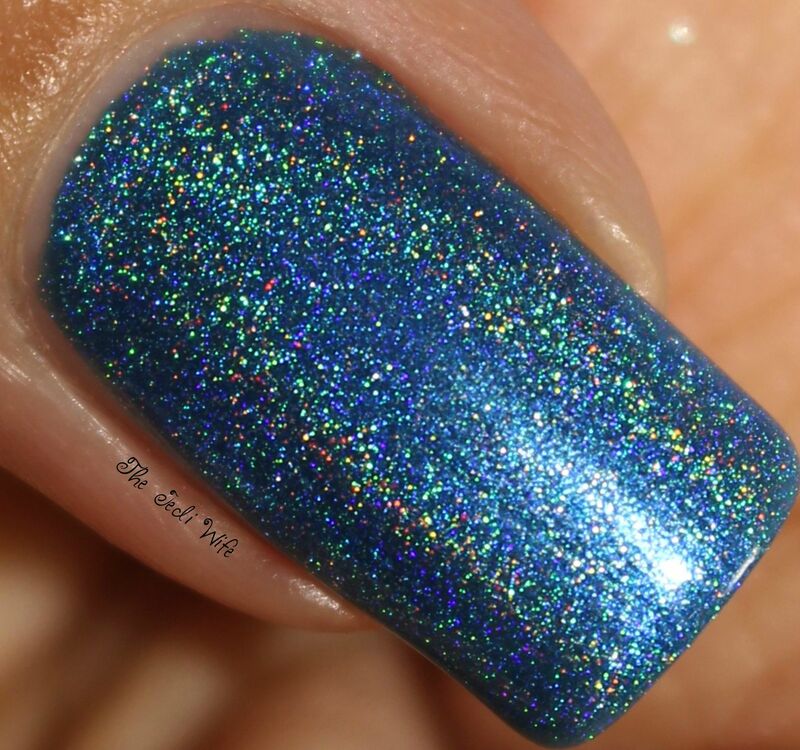 I definitely could see the look of twinkling lights against a tree on my nails, and this would be a fabulous base shade for some tree nail art. I used three coats for these photos. My camera did have a little difficulty in capturing the shade of this polish- it was either way too dark or too light for my four-finger shots; the closeup photo here is the most accurate shot I could get. 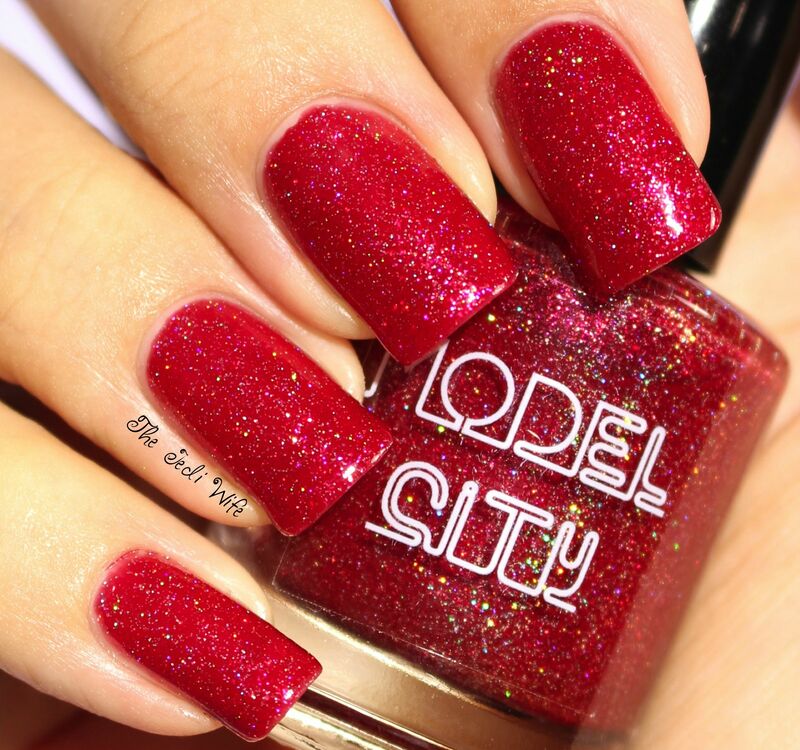 Winterberry is a red jelly shimmer with micro holographic glitter. I love red jelly polishes, and Winterberry is a stunning shade for the holidays! There is so much sparkle! 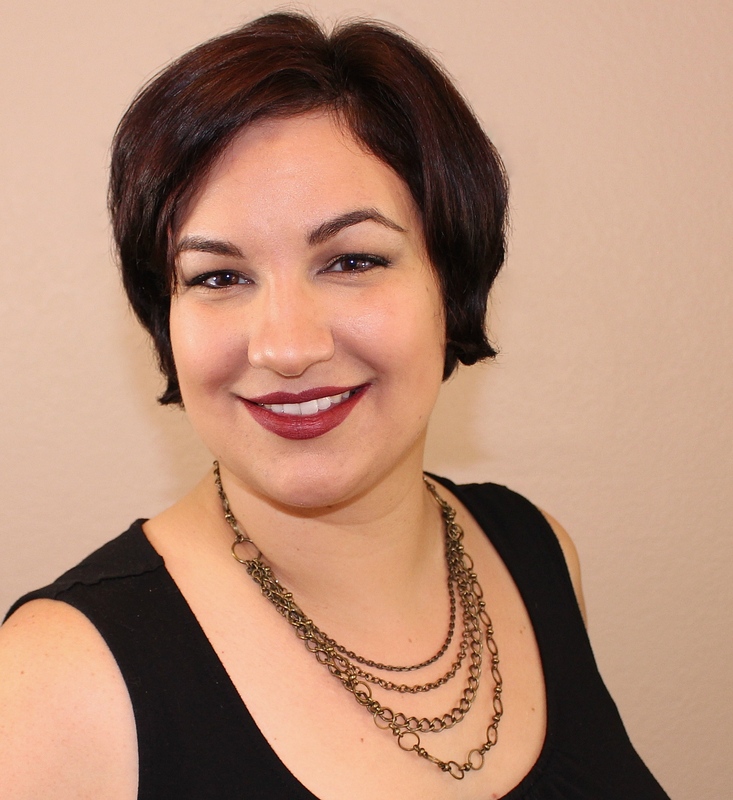 The formula was wonderful as well, and I used three flawless coats for these photos. 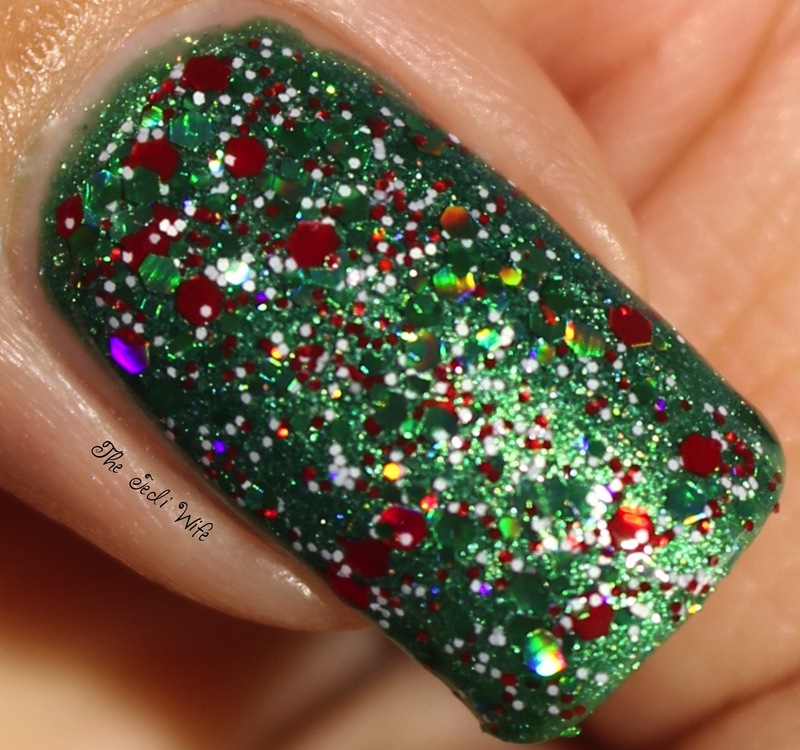 Christmas With A Chance of Snow is a clear base blend filled with red and green holographic glitter, and small white hexes. 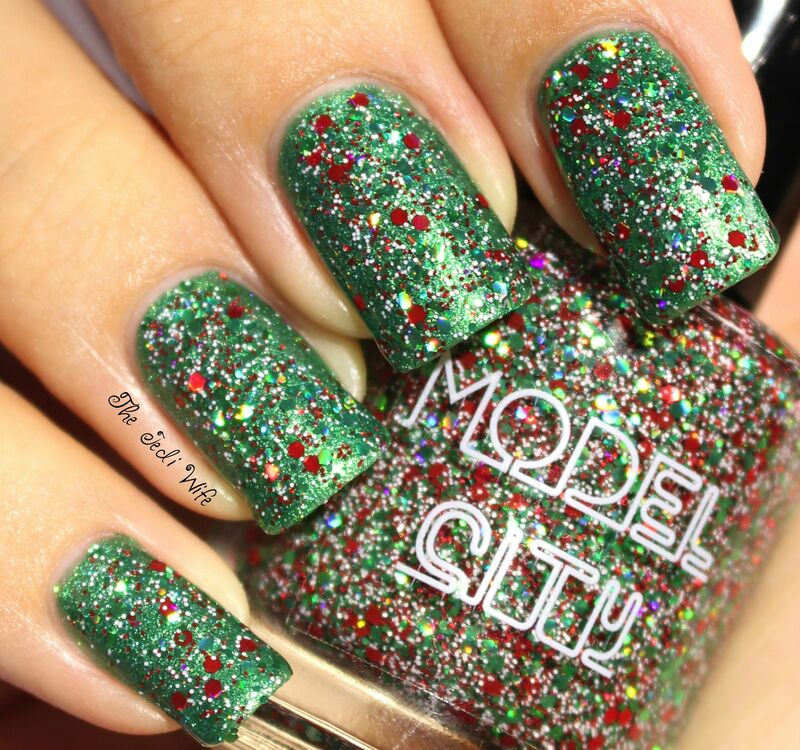 Christmas With a Chance of Snow is another great glitter from this collection, and it is definitely perfect for Christmas! 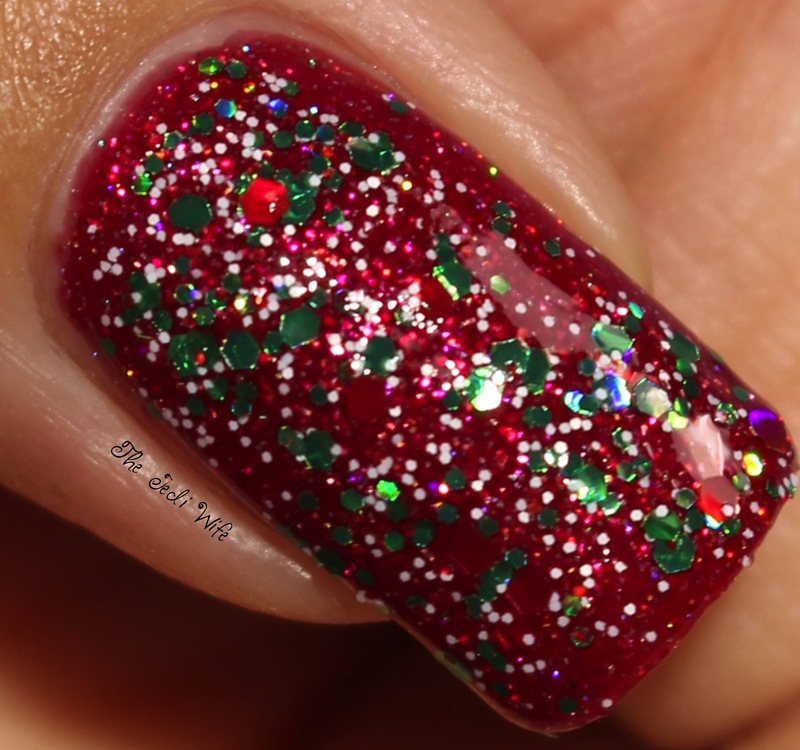 I used it as a glitter topper by dabbing around a single coat over Evergreen and Winterberry, although I used two coats over my ring finger when swatching over Winterberry. There is still a hint of the red base peeking through, but with careful placement of the glitters, you can definitely wear it alone if you wanted to. Christmas With a Chance of Snow was a little more difficult to work with because of the glitter density, but it only took a little extra patience to help disperse the glitters across my nails. I added topcoat to smooth out my nails for these photos. 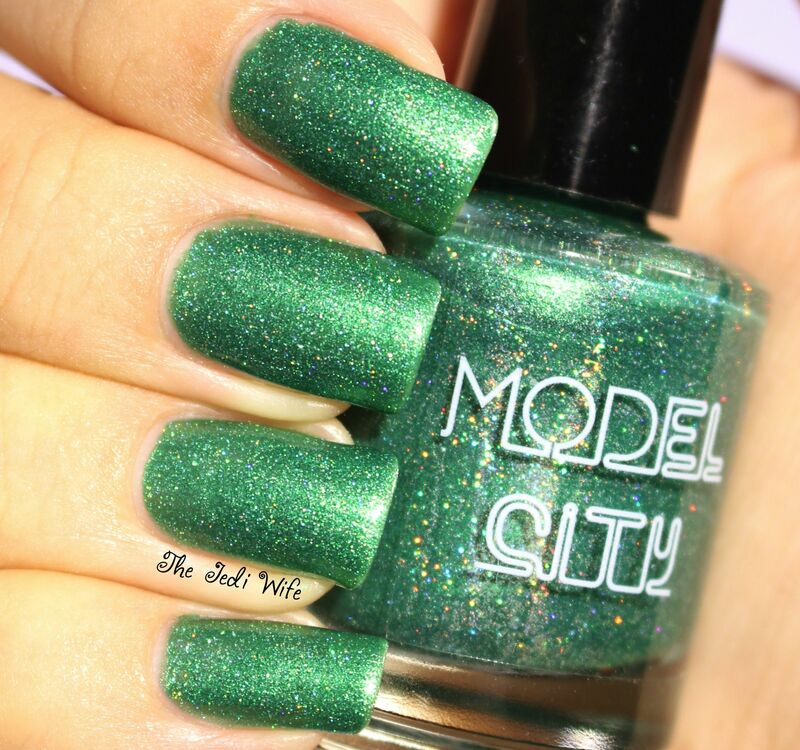 The Holiday Collection is available now at Model City Polish here. These colours are beautiful, and you may want a set for yourself in addition to others for your favorite polish elf! You can also upgrade your order to include a cute satin chevron print gift bag to make gift giving even easier! I love all these, but especially the glitters....and I thought I was over glitters a bit. So tempted!!! Arctic Sea is so beautiful!